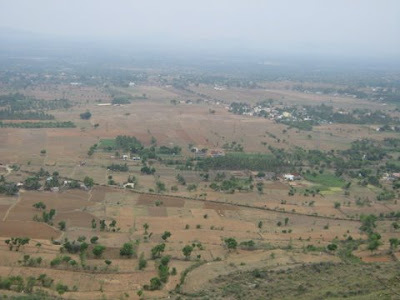 Tales Of A Nomad: Yelagiri- A Quaint Hill Station...!! 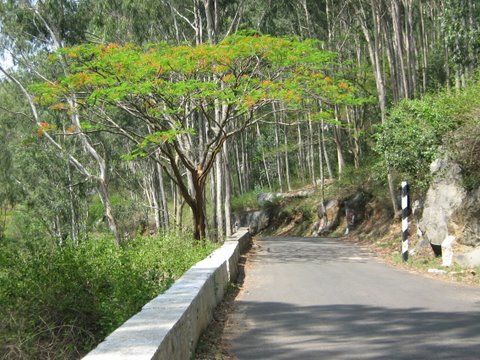 Yelagiri- A Quaint Hill Station...!! A beautiful sunday morning ride took me to Yelagiri, one of the less explored destinations in South India. 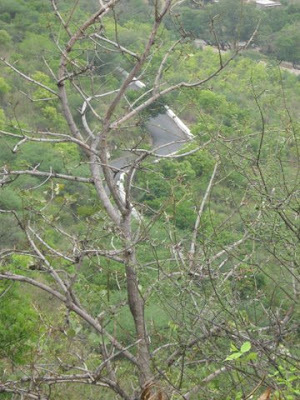 We were a gang of three on two bikes and left bangalore at 6 in the morning to this little hill station in Tamil Nadu. It was a lovely ride with wide splendid roads all the way till the start of the ghats. The ghat roads were also good inspite of them being not very broad. After a climb of 14 hairpin bends we reached our destination. Near the 12th hairpin bend there is an observatory from where we had some lovely views of the plains below. 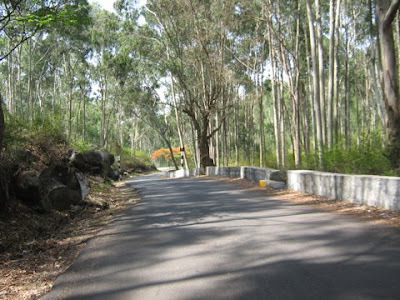 Yelagiri is quite different from the normal hill stations for the reason that there is nothing much to do over here. A couple of villages join together to form Yelagiri. There are hardly a few shops, a couple of restaurants and almost nil tourist traffic. However the charm of this place lies in the same. 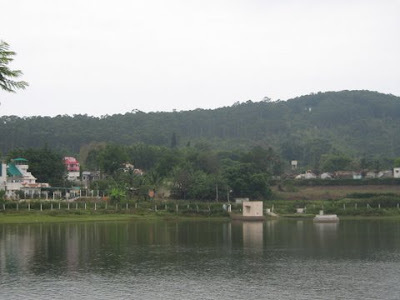 The main attractions of Yelagiri are Punganoor lake and Swamimalai. 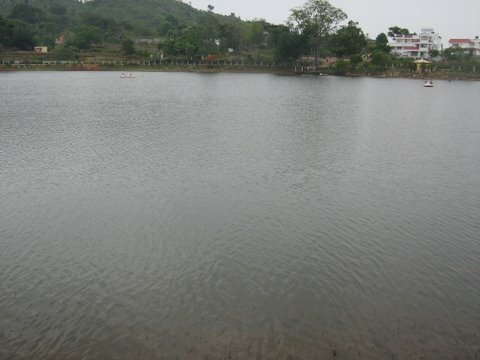 The Punganoor lake has been well maintained to attract the tourists. We also had a boating session in the lovely lake. There is a small park next to the lake where the refreshments are available. Swamimalai is a trekker's delight. A two hour trek leads to the top of the hill from where you get fabulous views of the valley. To undertake this trek it is best advised to start early in the morning and reach the top before the sun is completely out and over your head. However we were forced to miss out on this trek as we reached Yelagiri only by 11am. Also since we visited the place during the month of may, we didnt want to take on the burning rays of the mighty sun. After a lot of roaming around in search of a place to visit, we gave up and came to the consensus that there is nothing else to see in Yelagiri. This place is famous for jackfruits and home made honey. We infact had to be happy with a few mangoes and berries as we didnt have much of an option to carry the jackfruits and honey back home. After a lazy lunch at one of the reastaurants we headed back to Bengaluru. Signature Note: The best way to relax is to absolutely do nothing. true...yelagiri doesnt have much to offer for a tourist...but for an explorer its a nice place..
Hey nice pics and nice info. @ Team g Square...Thank you...keep dropping in. @ Busha... its a nice place to go to if you dont have much expectations. hey. thanks for the comments. have read this post on Yelagiri last time I was here. keep updating more often. and keep traveling ! thanks for following me...keep dropping in..
its a nice destination for a peceful holiday.. I love to go to such less explored places and simply relax while taking in the beauty of such hill stations. yup...a lovely destination to just relax. 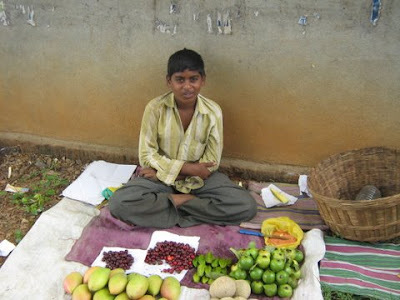 Its near Krishnagiri in Tamil Nadu. When are you planning to go? Great captures from the place. Yeah, it is a lovely little place. Lovely description.. glad to know there are still place where u have nothing to do....bliss..
Once in a way it's nice to visit a nice quiet place and have a pretty quiet holiday, right? Absolutely!! Take a break from the tourist circuit. Looks very peaceful and quite off-beat! truly a beautiful way to spend a great sunday morning! Thanks for sharing. My pleasure, Arti. It is indeed an off beat destination. Being not the typical touristy hill station, it has a charm of its own. The place looks charming enough even though there might not be much to do. Yeah, and that is its USP. Athirapilly- Fall of the White Water...! !